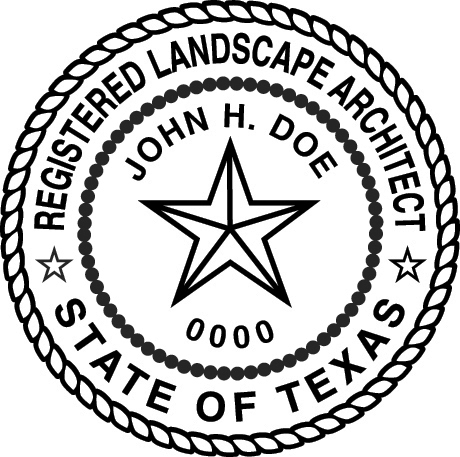 Every registered architect, interior designer, and landscape architect must procure a seal that is used to identify all construction documents prepared by the registrant or under the registrant's supervision and control for use in Texas. 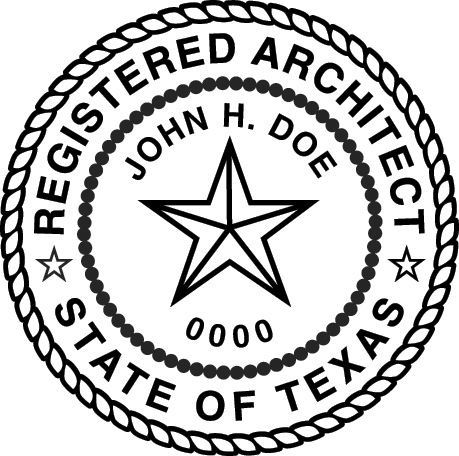 The seal can be either a rubber stamp, impression seal, or electronic as long as it will produce a clearly visible and legible image of the seal when copied or reproduced. 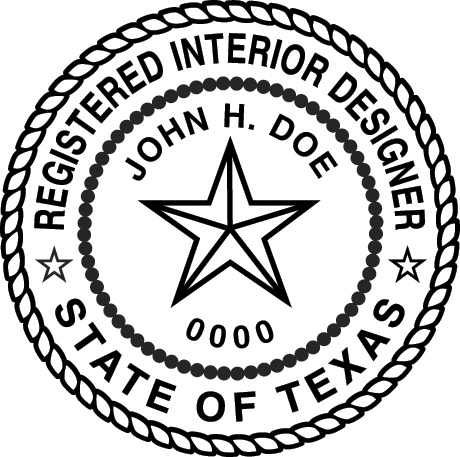 The design of the seal must be the same as the design of the sample seal provided below except that the name of the registrant and the registrant’s registration number must be substituted for the name and registration number shown. 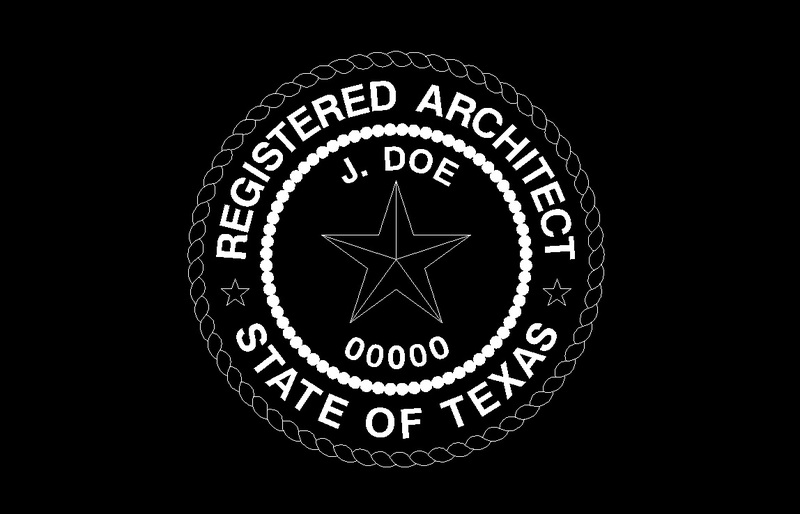 The diameter of the seal must be no smaller than one and one-half (1.5) inches. To download a copy of the seal, select from the list below the image that works best for you. Right click on the seal name, select "Save Target As" or "Save Picture As" and then select a location on your computer where the seal will reside. If you have trouble downloading these files, please email us at customerservice@tbae.texas.gov.